Walaykum Salam and welcome to MV, brother. You are absolutely right. That hadith in particular is one of the very weird ones with wrong teachings that have had a very far-reaching and negative impact on our Ummah. In the process, Muslims completely ignore the Quranic Verse 6:159 you rightly quoted which makes the condemnation of sectarianism crystal clear by the Divine Power. But unfortunately to most Muslims at present, the hadith is their prime source of information while they view the Noble Quran as insignificant. 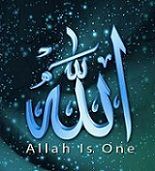 I seek refuge in Allah Almighty from the misguidance of the human mind.